A faint, open cluster in Cassiopeia. 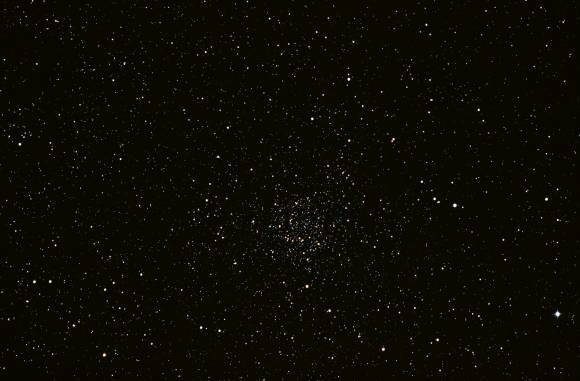 This was the subject of the Scoping the Sky column in the September/October 2014 issue of SkyNews, entitled The Finest Cluster You Can Hardly See. 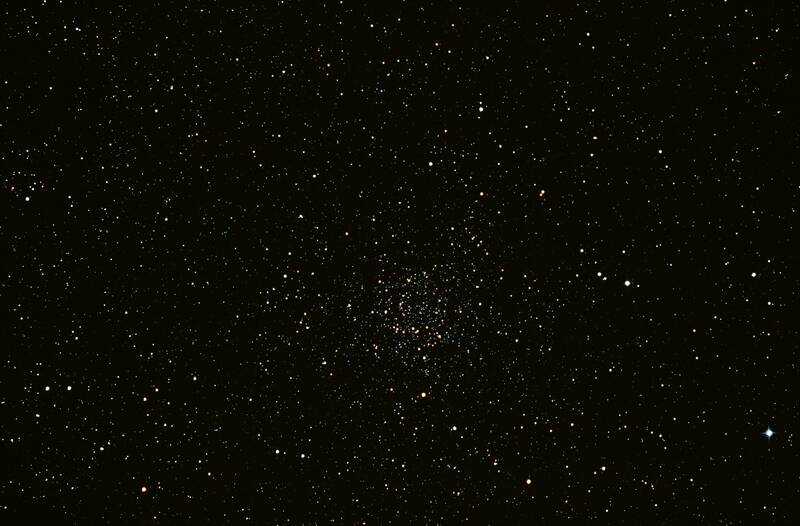 The cluster is fairly evolved and contains quite a lot of red giants. A stack of nine 30 second exposures @ ISO-1600, Canon T3i on 8 inch f/3.9 Newtonian Astrograph.